This elegant business template is not only beautiful but also very functional. The vast array of customizations is excellent, giving you more control on the look and feel of the theme without having to dig into the theme editor (and PHP / HTML / CSS code). Professional look with 6 color variations: blue, red, green, orange, violet or grey. 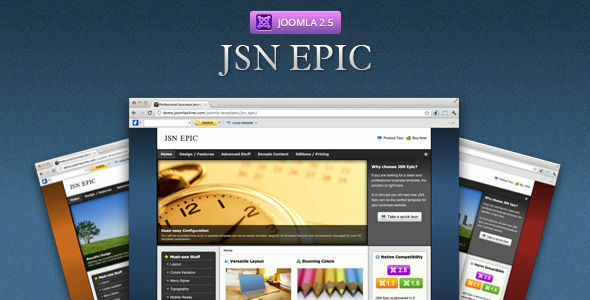 JSN Epic template is equipped with the detailed documentation package including the Configuration and Customization manuals. You can download it at here. 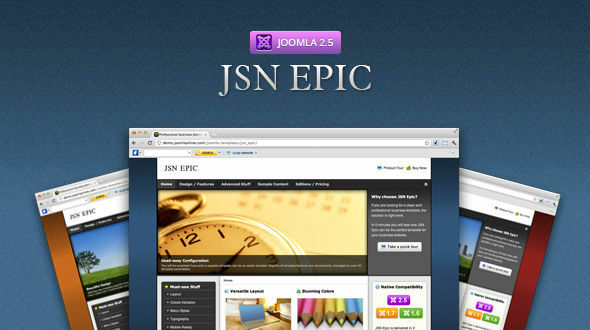 JSN ImageShow, JSN PowerAdmin and JSN Uniform are three built-in extensions in JSN Epic sample data.